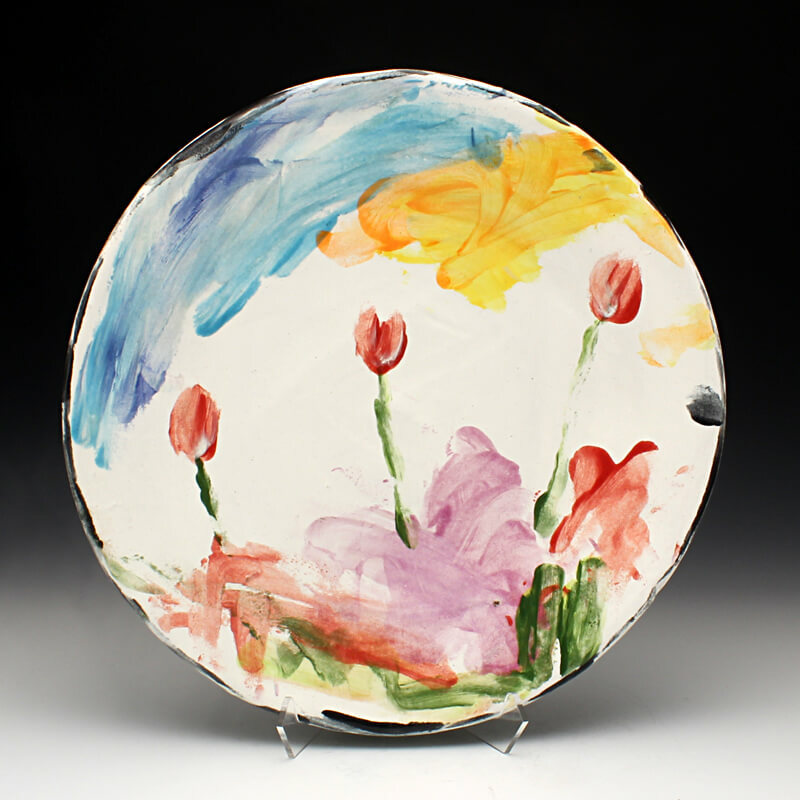 George Metropoulos McCauley, a Greek/American potter, has had 30 solo shows and has been included in 300 exhibitions. He has taught and conducted workshops internationally. The recipient of 4 National Endowment for the Arts grants and the prestigious Roy Acuff Chair of Excellence for the Arts at Austin Peay State University in Clarkesville, TN, his pottery and sculpture are included in international collections in 12 countries. Among the books and periodicals to feature his work are: Teapots, 21st Century Ceramics in the United States and Canada, The Best of Pottery (editions 1 and 2), Contemporary Ceramics, Wheel Thrown Ceramics, Ceramic Sculpture: Inspiring Techniques , Glazes: Materials, Recipes and Techniques, The International Teapot Exhibition in Shanghai, 500 Vases and 500 Platters, 500 Teapots. Ceramics Monthly, The Chinese Potter’s Newsletter, Ceramics Monthly of Korea, Ceramics: Art and Perception. McCauley continues to have a busy workshop and exhibition schedule and still finds time to produce his own local television show,” George’s House of Interesting Things” on HCTV, and “GHOC Wednesday Night Videos on the internet. He has 2 films to his credit, “Archie C. Bray, Life at the Brickyard” 2008 and “Ron Meyers and the Usual Suspects” 2013. Additionally McCauley has been working with the low income and disabled community for 40 years. He maintains a studio at his home in Helena, Montana where he makes colorful earthenware pots, high temperature wood firing, earthenware wood firing and narrative sculpture. Along the way he has worked as a chef in a Greek restaurant, full-time cowboy/horse trainer, concrete inspector, aluminum siding salesman, western catalog model, lifeguard and carpenter. I am drawn to work that shows struggle and presence of the hand. Asian pots, particularly the Momoyama Period, led the way for me . My work is very much about the immediacy and act of making with little in relation to academia or technical aspects. I am more interested in the flaws than the flawless.